A fatal crash occurred late Saturday night, March 16, between a motorcycle and car at the intersection of Northeast Division Street and Northeast Hogan Drive. Around 11:42 p.m. a motorcycle travelling northbound on Hogan collided with a car travelling southbound and turning into a business parking lot. 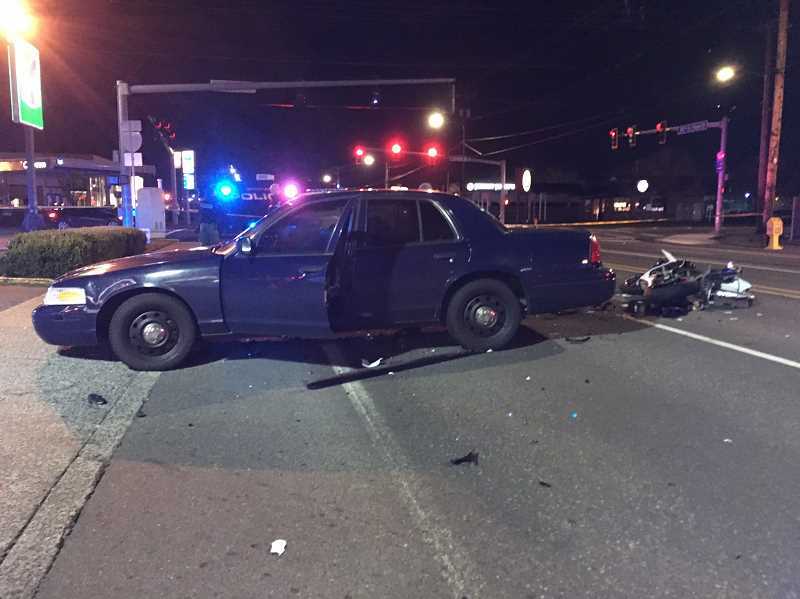 The motorcyclist died at the scene, and the driver of the vehicle was cooperative with Gresham Police Department investigators. Police are investigating the circumstances of the crash. No arrests or citations have been made. If anyone knows something about the collision, call the Gresham Police Tip Line at 503-618-2719.